Vaslav Nijinsky, celebrated Russian ballet dancer and choreographer, died in 1950 after making the declaration that he would one day return, reincarnated as a horse. A relatively short 17 years later, there seemed some legitimacy in Vaslav’s declaration, when Charles Engelhard recognized potential greatness in a powerful colt, the kind that fuels fervor within the veins of thoroughbred racers. Nijinsky was born February 21, 1967 at Windfield Farms, in Oshawa, Ontario, Canada, from a mating of legendary champions Northern Dancer and Flaming Page. Irish trainer, Vincent O’Brien, suggested the horse to Charles Engelhard. O’Brien was soon after training Nijinsky at Ballydoyle training facility in County Tipperary, Ireland. 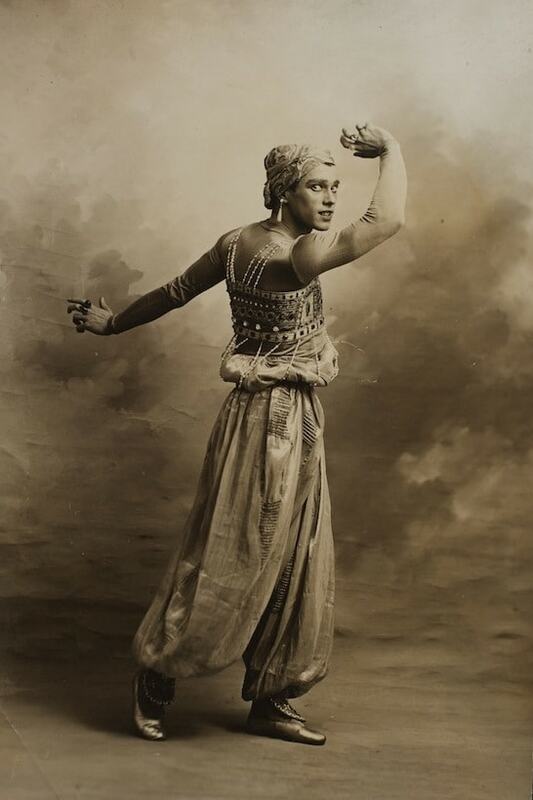 Apart from his three white feet, Nijinsky wore an almost perfectly shaped heart on his forehead. This heart was representative of the passion soon to engulf the racing community in admiration of this legendary colt. Nijinsky was named by Jane Engelhard and raced under the green, yellow and red silks of his Cragwood Stables of Aiken, South Carolina. 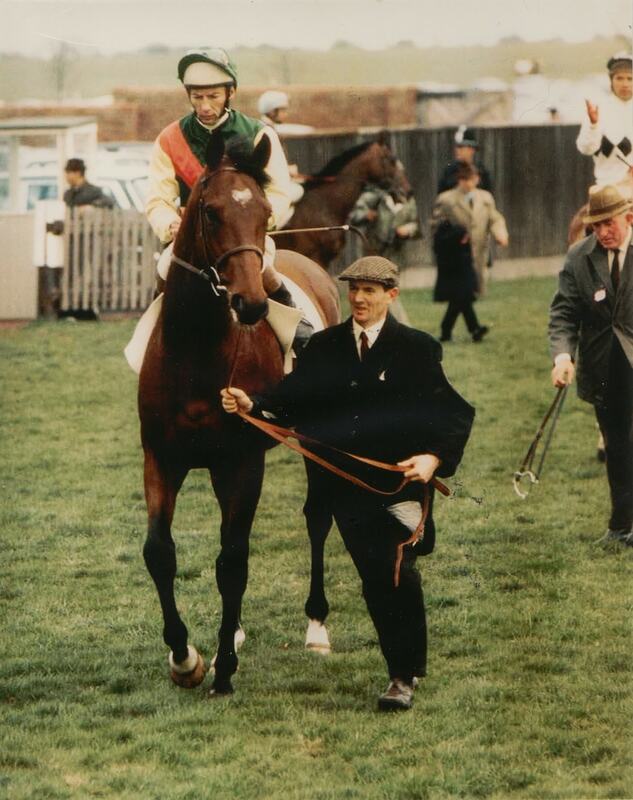 He demonstrated greatness from birth, beginning his career in 1969, winning the Erne and Railway stakes in Curragh, Ireland, followed by Anlesey Stakes and then Bereford Stakes. He was, at two years of age, proclaimed the two-year old champion of England and Ireland after being unbeaten in five races. 1970 was a veritable year for the thoroughbred. He earned the first jewel of his Triple Crown with the 2,000 Guineas win, followed by his capture of the Epsom Derby, providing the second jewel. Nijinsky was inactive for some time after an attack of ringworm, which left him losing a significant amount of his hair. With time and steadfast care, he returned to capture the St. Leger Stakes, which granted him the first English Triple Crown win since Bahram’s in 1935. The world has yet to witness another English Triple Crown winner. Nijinsky, and his jockey, Lester Piggott, gained consideration as the most formidable horse and jockey combination in the history of thoroughbred racing. The great horse was retired to Claiborne Farm in 1970, where he became a broodmare sire and a sire of sires, granting the racing community such greats as Ferdinand, Golden Fleece, Royal Academy and Maplejinsky. He was laid to rest due to infirmities of old age in April, 1992, at Claibrone Farm equine cemetery. 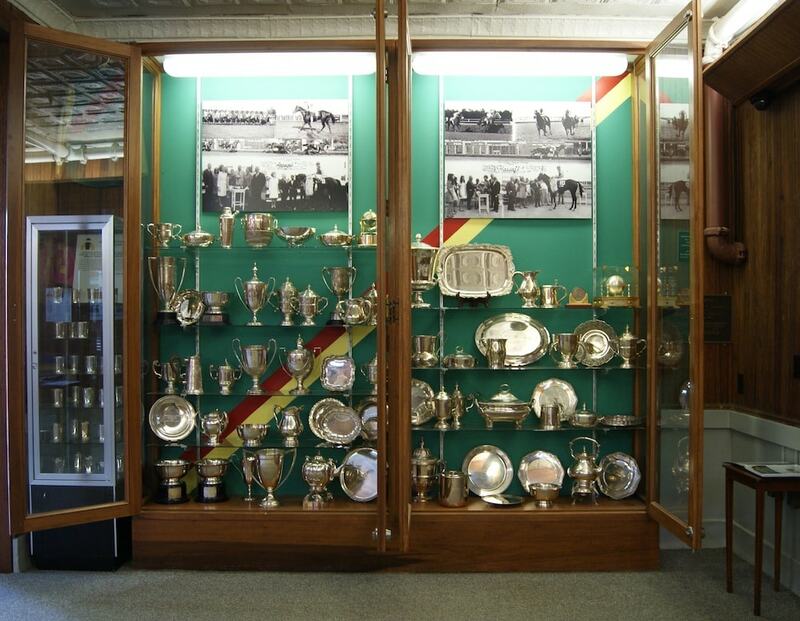 The Engelhards were a major force in thoroughbred racing, with stables in England, South Africa and South Carolina. Although Nijinsky was the greatest, there were many remarkable Engelhard horses, including champions Assagai and Hawaii. 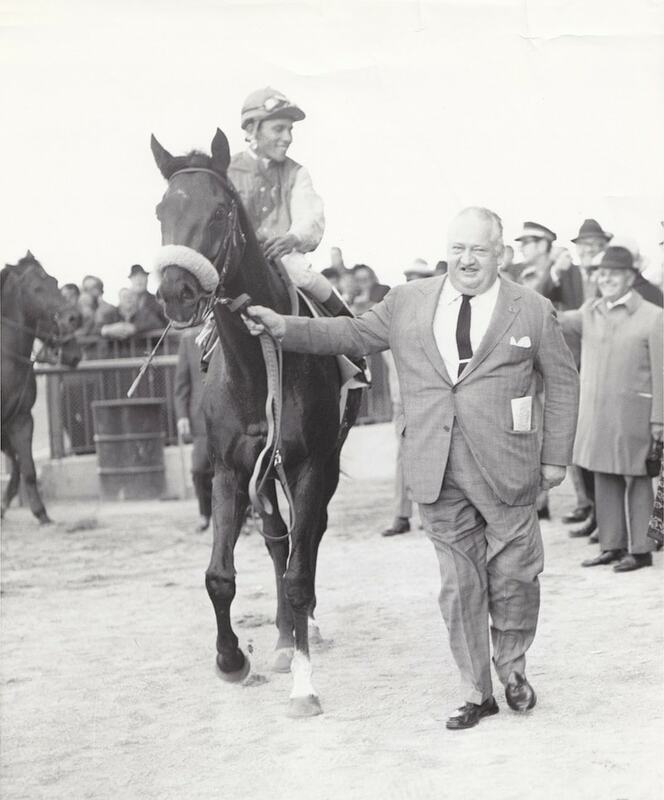 Assagai was foaled in 1963 and raced out of Cragwood’s Kentucky stables. He was named Champion Turf Horse in 1966 and earned the Eclipse Award for Outstanding Turf Horse. His wins further include the Man o’ War Stakes and Long Branch Stakes in 1966, as well as Round Table and Long Island Handicaps in 1967. 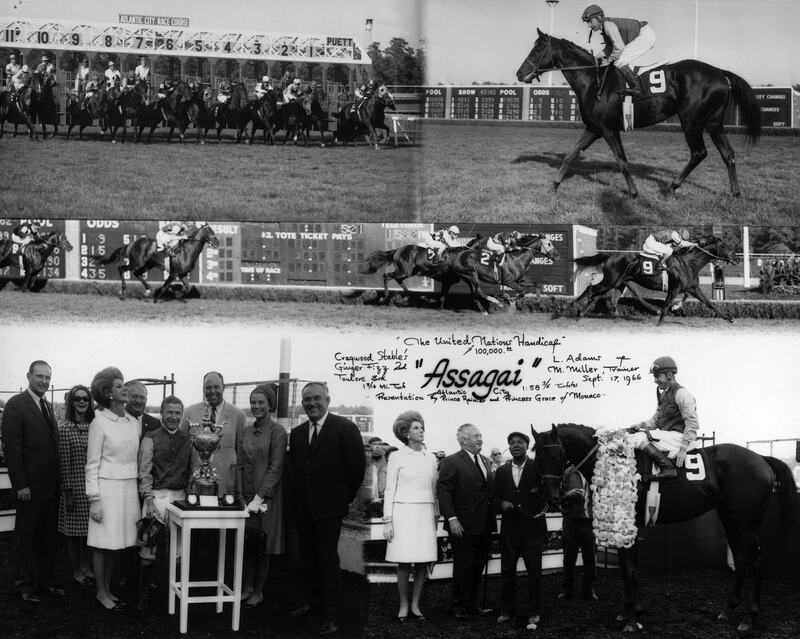 Assagai was elected to the Aiken Thoroughbred Racing Hall of Fame on January 23, 1977. Prince Rainier and Princess Grace, of Monaco, presented the trophy in honor of Assagai’s United Nations Handicap win in 1966, pictured above. Cragwood’s South Africa stables were home to Hawaii, foaled in 1964. 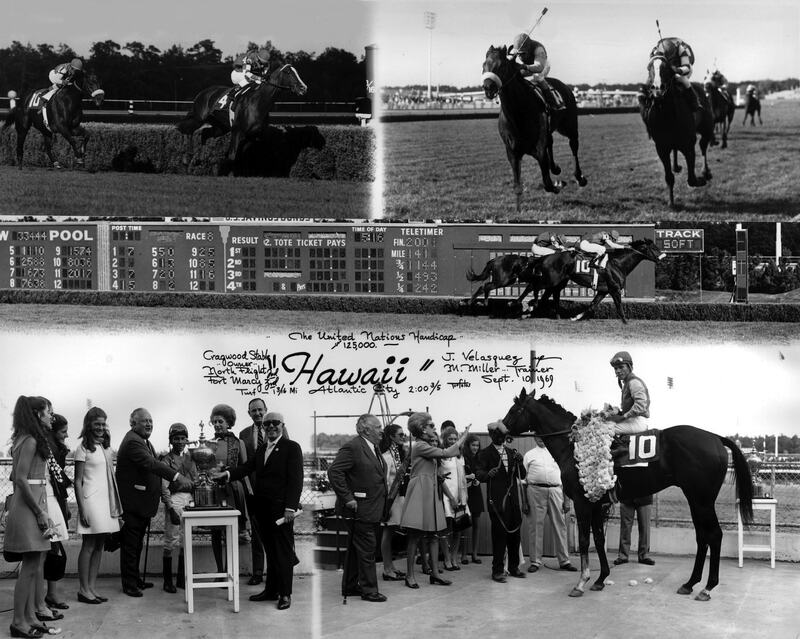 Hawaii was awarded Two Year Old Champion in 1966 and Three Year Old Champion in 1967. Later sent to race in the United States, Hawaii was awarded the 1969 American Champion Turf Horse and secured a track record setting performance in the Man o’ War Stakes at Belmont Park. 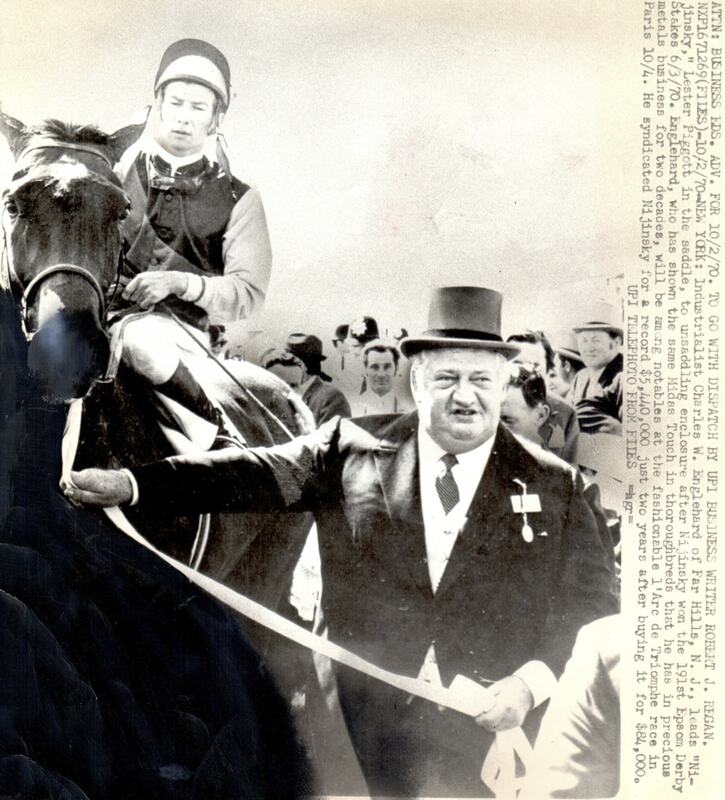 Hawaii was elected to the Aiken Thoroughbred Racing Hall of Fame on January 23, 1977. There have been many great horses in the last millennium, including Secretariat, Northern Dancer, Red Rum, Sea Biscuit, Assagai and Hawaii, but it was of course Nijinsky that British racing aficionados voted as Horse of the Millennium, in 2000. He was also immortalized in the 1970 film, A Horse Called Nijinsky, directed by Jo Duren-Smith and narrated by Orson Welles. Nijinsky truly was the horse that people loved the most.